From October 2015 to March 2017, Optus told around 14,000 customers that their services would be disconnected (in as little as 30 days in some cases), if they did not move to the NBN, the Australian Competition and Consumer Commission (ACCC) said on Wednesday. Under the terms of its contract, Optus could not force disconnection within the timeframe. Optus also made misleading representations to customers that they had to sign up to Optus’ NBN services when they could have chosen any internet service provider, the court found. Optus benefitted by around $750,000 as a result of the conduct. “Optus pressured customers by misrepresenting the time period in which services could be disconnected,” said ACCC chairman Rod Sims. “It is illegal for businesses to mislead their customers and create a false impression through their communications. Today’s penalty serves as a warning to all businesses that such behaviour will be met with ACCC action,” Sims said. An Optus spokesperson said on Wednesday that in response to industry changes driven by the NBN, Optus is transforming its fixed business from being an infrastructure provider to a services reseller. "In late 2016, we made the decision to proactively migrate customers off Optus' cable network to the NBN as soon as the area becomes serviceable. Optus aims for a seamless experience for customers transitioning to NBN. However, during this process, we provided some customers with insufficient notice of their options to migrate and some customers were disconnected before they migrated to the NBN. Optus has acknowledged this was wrong and should not have occured." The spokesperson said Optus said it had written to affected customers apologising for this error and offering compensation to customers that had been disconnected without sufficient notice. 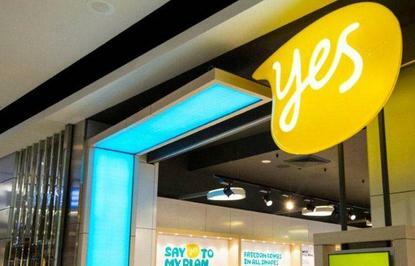 "Optus has established a revised set of migration processes for its cable customers that we believe will deliver customers the migration experience they expect," the spokesperson said.